AirPods let you do a lot of things. Apple’s wireless AirPods let you make phone calls, listen to music and even use Siri. To use AirPods, you need to set them up with your iOS device, Mac, or any other Bluetooth devices like Android phones. It seems that several users are having a sound issue. 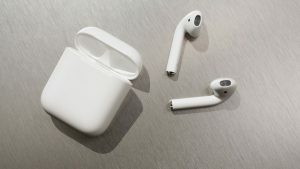 More specifically, users are reporting that their AirPods has stopped playing sound. Are you having this problem too with one or both of your AirPods? This article explains what to do when there is no music, audio playing even though your device indicates a connection. The first thing you should check is if your AirPods are clean. AirPods can pick up a lot of dirt and debris. You may need to clean it occasionally. It is important that you clean them properly so that you do not damage them. Apple’s document explains how you can do that properly. Make sure that your volume level is not too low. There is an optional setting on iOS device that lets you set a system wide volume limit. This is a maximum level setting. This setting will overrides the Music app volume settings. It is possible that you may have set this too low (this is off by default). To check, go to Settings > Music > Volume Limit. 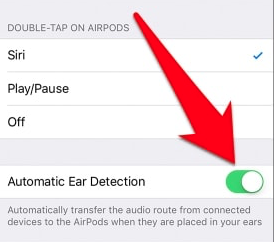 Make sure that your iOS device is connected to your AirPods. Ensure that your AirPods are charged. So check your battery level. If it is low, charge them. If you want to charge them, you may place them in your case. Charge your AirPods for a few hours. Press and hold the Set up button for several seconds until the status light starts flashing amber and then white. Disconnect your AirPods. On your device, go to the Bluetooth Settings (e.,g, on your iPhone or iPad, go to Settings > Bluetooth) and then tap Forget This Device. And then repair them. Restart your paired device, e.g., iPhone, iPad, Mac, Apple Watch etc. Then try again. Disable Automatic Ear Detection to see if this fixes your problem. Simply go to Settings > Bluetooth > AirPods and and turn off Automatic Ear Detection. If everything fails, you may want to consider booking a Genius Bar appointment. Apple also offer live chat support. None of the tips above work, except restarting the phone (or paired device)! Thanks!